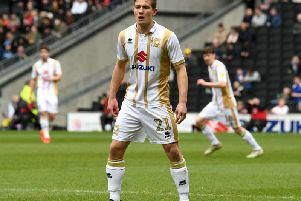 MK Dons stopped their losing run on Saturday as they came from behind to draw 1-1 with League 1 pace setters Bolton Wanderers. After conceding a spate of early goals, Dons found themselves trailing once again, this time falling behind to Mark Beevers’ early strike. But settling into their stride, Dons looked a different side in the second half and were back on level terms after a superb solo-effort from loan signing Ryan Colclough. Dons had the chance to win it when Kieran Agard won a penalty, but a remarkable save from Mark Howard denied Dons’ record signing from earning them all three points.